On Sept. 8, a video was posted to Afreeca Freecs’ official Twitter page. In it most of the Afreeca roster—both players and coaches—are in the team’s gaming room, all yelling triumphantly and clapping. The team then hugged one another, while a couple players in the background held up a large blue flag with Afreeca’s logo on it. An elated Lee “Spirit” Da-yoon even did a little dance of victory before sitting back down to yell and clap once more. From an outsider’s perspective, Afreeca looked like they’d just won a major international tournament or domestic title. But they didn’t win any major event—KT Rolster did. Earlier that day, KT Rolster rose from the brink of destruction to defeat Griffin in an exhilarating five-game series to win the LCK 2018 Summer Split, inadvertently qualifying Afreeca for the World Championship in the process. And near the end of the finals’ fourth game, it looked as if Afreeca were bound for the regional qualifiers. Griffin had taken Baron, and were in the process of destroying KT’s only remaining Nexus turret. “Viper goes down,” yelled caster Max “Atlus” Anderson suddenly. Right before Griffin could expose their opponent’s base completely, KT’s players managed to neutralize Griffin AD carry Park “Viper” Do-hyeon. From this play, KT mounted their comeback, winning that and the next game to be crowned summer’s LCK champions. With KT’s victory came the realization for Afreeca that the goal they had been working towards for the past year was finally achieved—they were going to the World Championship. For Kiin and Afreeca mid laner and captain Lee “Kuro” Seo-haeng, a chance to realize their “biggest goal” had finally appeared following a season filled with both successes and hardships. From making the LCK final in Spring, to losing against China’s LPL at Rift Rivals, Kiin and Kuro now have the opportunity to use these experiences in their upcoming quest to raise the Summoner’s Cup. And they’re confident they can do it. 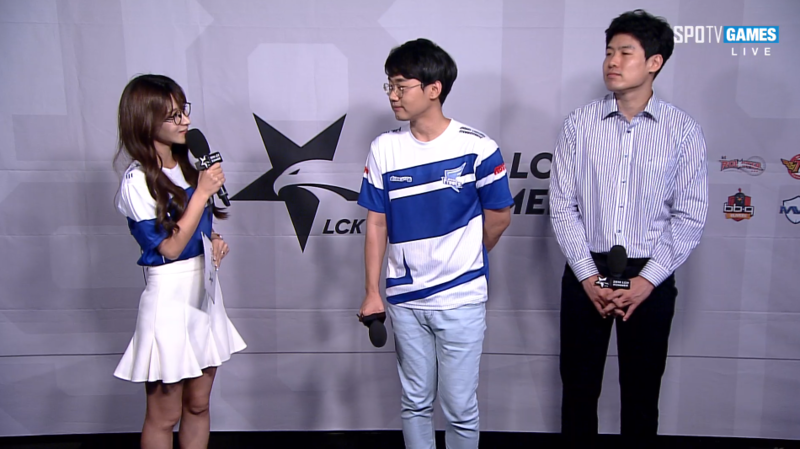 “To be honest I think we have a 50/50 chance of winning if we play our best,” Kuro said. To celebrate earning their ticket to the most prestigious tournament of the year, Afreeca held a mukbang eating livestream. In the midst of Afreeca’s festivities though, there was one player noticeably missing—Kuro. 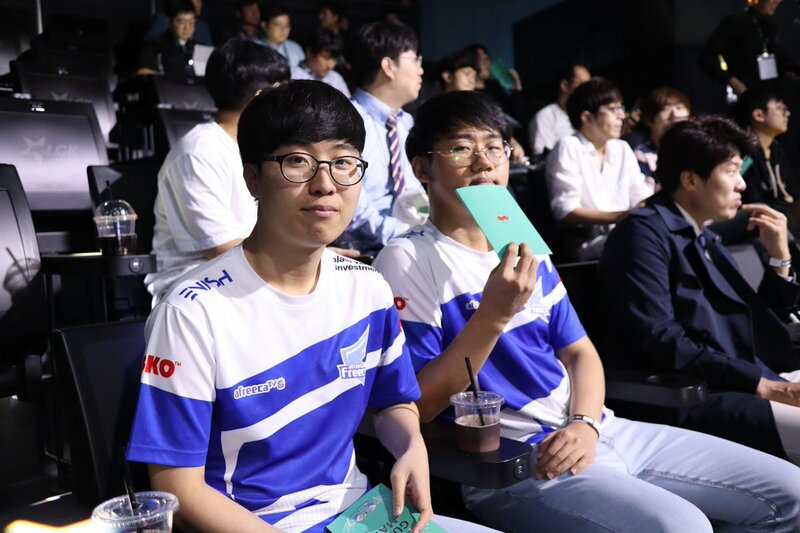 Unlike the rest of his team who stayed in Afreeca’s gaming house, Kuro ventured to the Incheon Samsan World Gymnasium to watch the finals live and cheer on his former teammate and current KT top laner, Song “Smeb” Kyung-ho. “Smeb I have faith in you. Fighting,” were Kuro’s words of encouragement after KT’s game one loss to Griffin. With Afreeca knocking KINGZONE DragonX out of playoffs in the quarterfinals, Kuro had guaranteed Smeb and KT a spot in the World Championship. Almost one month later and Smeb had returned the favor, qualifying Afreeca with their finals win versus Griffin. Though even with such rigorous practice, Afreeca experienced their fair share of struggles this past Summer Split, particularly in the second half following Rift Rivals. But come playoffs Afreeca’s struggles seem to had vanished for the most part, though there were no major alterations made to the team’s practice. “Coach Iloveoov didn’t make a lot of changes [to practice], but our attitudes changed during that time period,” Kuro said. “The team started to build more trust around each other, which was the biggest reason why our struggles disappeared,” Kiin added. This gain of trust was quite noticeable in Afreeca’s three playoff matches, with the entire team more than willing to all jump onto a play without hesitation. Tied with Afreeca’s enhanced team cohesion in playoffs though were their well thought out drafting phases at the start of each game. While not mentioned nearly as much as Afreeca’s head coach Choi “iloveoov” Yeon-sung, Zefa’s coaching ability was recognized by his LCK peers, and he, alongside Kiin, were chosen to be a part of team Korea in the 2018 Asian Games. The youngest player on Korea’s Asian Games roster at 19 years old, Kiin being chosen to represent Korea over the LCK’s veteran star top laners like Smeb is a testament to the in-game prowess he displayed this year. In 2019 the LCK will also discard soundproof booths as it transitions to its new venue, named “LoL Park”—a decision Afreeca’s top and mid laner have mixed feelings about. But before they can start looking towards the 2019 LCK season, Kuro and Kiin must prepare to overcome the region that has beaten the LCK throughout the entirety of 2018—China’s LPL. Historically League of Legends’ perennial silver medalists, the LPL finally overcame their LCK counterparts this year, winning every international tournament in 2018 thus far. And falling victim to China’s 2018 success was Kuro and Kiin. The two lost to LPL champions Royal Never Give Up in the finals of Rift Rivals earlier this year. “When we met the Chinese teams at Rift Rivals we weren’t very prepared, attitude-wise,” Kiin explained. “And our pick-ban wasn’t as prepared.” Kuro agreed with Kiin’s assessment, calling Afreeca’s Rift Rivals preparation not “ideal.” Seemingly unfazed by their Rift Rivals defeat, the two assured me that they’d do well against their LPL competition come the World Championship. However China isn’t the only region Afreeca will be playing against in a few weeks. With the World Championship being a gathering of League of Legends’ global elite, Afreeca will get to face teams from regions they have yet to play against—including the NA and EU LCS. “I have never played against Western teams thus far, so I’m quite excited to play against all them,” Kiin said when asked if there was any Western team he want to face. Kuro though, has one Western team he wants to meet on the World Championship stage. “I’m really excited to play against Cloud9,” Kuro said. “I think Cloud9 is a really good team.” In many ways, this current iteration of Cloud9 resembles Afreeca. Both teams readily use their active bench, and are unafraid to experiment with more off-meta champion picks like Quinn, a champion both teams used in their respective regional playoffs. Unfortunately for Kuro though, thanks to the group-stage draw, the earliest Afreeca could meet Cloud9 is in the World Championship knockout-stage, barring any major upsets during the play-ins. The pinnacle of League of Legends esports, winning the World Championship is a feat that Kiin and Kuro call the “ultimate goal of any League pro gamer.” And this year that goal has become even more coveted for LCK teams with the World Championship being held in South Korea. “Since the World Championship is taking place in Korea. [Winning] would be very meaningful for me,” Kiin said. “Winning would be achieving our biggest goal,” Kuro concluded.